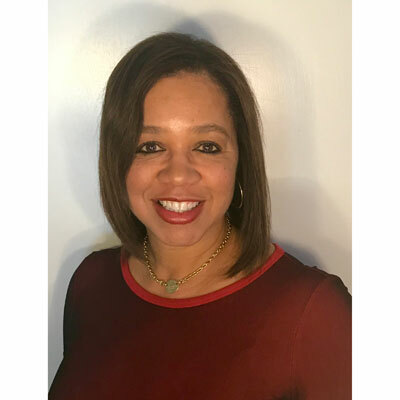 Stacey Batiste is the sales manager for the Outbound Telemarketing (OBTM) team for AT&T Alliance ChannelTM. She leads a team that manages call center firms that sell on behalf of AT&T. She is responsible for growing revenue in this important segment. Stacey began her 32-year career at Pacific Bell as an "O" Operator. She quickly advanced, assuming roles in business service, customer service, and technical sales before becoming a California sales manager. In the Alliance Channel, she's also served in a variety of roles, including vendor manager and campaign manager. Her current position as OBTM sales manager is one of her favorite positions. Stacey is a high achiever, with a passion for growing - both personally and professionally - and helping others. She receives great satisfaction from problem solving, accomplishing goals and motivating others to achieve their goals. Stacey received her Bachelor's Degree in Organization Behavior from the University of San Francisco. She is also a graduate of the Data Communications Institute, with certifications in mobility applications, professional training instruction and MPLS. Stacey has two children, Lauren and Patrick, and 2-year-old granddaughter, Savannah. She has a passionate love for animals and wild life. I have an intense focus on exceeding objectives. This, coupled with having a phenomenal team, have allowed me to exceed sales objectives this year. I attribute success to having a close working relationship within the leadership team, strategic planning and new business development (growth of solution provider partners). I met with our CARE managers regularly to improve order processes. To reduce travel costs and provide revenue balance, I restructured our channel manager modules to align them geographically. I also used my technical sales background to identify and implement ways to increase data sales, improve support and minimize credit issues. And I make it a point to be very active in the field, collaborating with our call center partners. My goals this year: exceed revenue objectives, continue to learn and acquire new skills, provide a supportive learning environment for the team and continue to evolve OBTM to make it the most admired and sought-out organization within Alliance Channel. Skills transformation is a top initiative at AT&T. I believe increased knowledge in network products, security products and core competencies is key to OBTM's evolution and growth. I also plan to increase participation in several of AT&T's employee resource groups, including Women of AT&T and The Network. I believe it will have contributing effects to the Channel. Kamala Harris and I have been best friends since Kindergarten. We've maintained that friendship throughout the years; we even bought condos in the same building when we were in our late twenties. I watched her leave our building walking confidently and purposefully to work in the District Attorney's office in Oakland. Kamala has advanced her career from San Francisco District Attorney to California's Attorney General to California's State Senator. I admire her confidence, courage, conviction and adherence to values and policies she believes in. She's a fearless leader and fights for what she believes in, even when it's unpopular. Be kinder to your knees. Your love for running and snow skiing will eventually take its toll. Get in the habit of wearing sun glasses. If you don't, your eyes will eventually suffer from severe sun damage. Lastly, follow through with obtaining the patent for your shrimp devein kitchen utensil. This simple kitchen tool will be widely used. It will take approximately 25 years until deveined and peeled shrimp are packaged and readily available. Trust in this good idea and act! Taking public speaking to a greater level. Earlier in my career, I gave speeches and presentations before hundreds of fellow employees as an active member of our CITIES employee resource group (now named The Network). As a Sales Manager, presentations are typically board room style or in small groups. I would like to enhance and perfect this skill by taking professional training in order to be highly effective when speaking to a large audience again. National Geographic's "Your Brain, 100 things you never knew." I was originally a Biological Science major. My husband has 6 brain aneurysms, 2 ruptured and left him completely paralyzed at age 42. I like reading about how the conscious and unconscious mind interact, how the brain "wills" action before the conscious mind is aware of the will to do it. It constantly rewires itself and is physically different moment to moment. It's amazing that the brain learns so much about the world but knows so little about itself. The brain continues to be a mystery and the most complex "computer."